The International Franchise Association has taken its fight against Seattle’s $15 minimum wage to the U.S. Supreme Court. There’s no sleeping in Seattle for the International Franchise Association (IFA). The group has taken its fight against the city’s $15 minimum wage to the U.S. Supreme Court, asking the high court to review the minimum wage law. The IFA has taken issue with a portion of the law that requires businesses with more than 500 employees ramp their entry-level wages up to $15 faster than companies with fewer workers. The problem lies in the way franchise owners are treated under this law. Many franchisees simply do not own enough individual businesses to total 500 employees. But the law treats them as if they do, because franchisees still pay franchise fees to corporate “parent” companies, or franchisors. And under the law, the total employees are counted as working under the parent companies rather than just the individual franchisee. In other words, the owner of one fast food franchise may have 30 workers. But in Seattle, those 30 workers are counted with the thousands of other workers under different individual owners throughout the entire fast food chain. 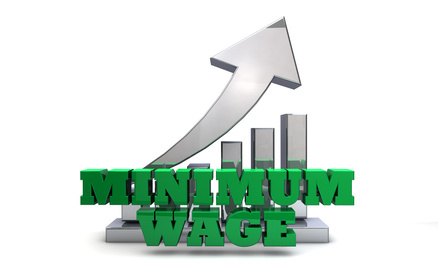 The Seattle Times reports this latest move by the IFA comes after failing to convince a federal appeals court last fall that this part of the minimum wage law discriminates against franchise owners. According to the article, the city has 30 days to respond, and the Supreme Court is expected to decide by spring if it will take up the IFA’s case. In the meantime, the mandated increase to $15 for entry level jobs has reportedly taken a toll on some Seattle businesses. Restaurants, in particular which typically operate on very low profit margins and hire entry level workers. As mentioned in a previous Kitchen Table Economics lesson, between January and September, restaurant employment in the Seattle area declined by about 700 jobs, while the rest of the state saw an increase of 5,800 jobs (a 6.6 percent jump). Some restaurants have even tacked on a 15 percent order surcharge to compensate for higher wages. And others, faced with more red ink, are closing their doors altogether. These are examples of the unintended consequences of forcing employers to pay more for their entry level employees, without any more money coming through the door.